Speaking to reporters on Tuesday, President Donald Trump said that while he isn't "happy" with the spending bill that Congress had come up with, he did not think that there would be another shutdown. In December, Trump refused to sign a spending bill unless Congress added $5.7 billion in funding for a border wall. Democrats in Congress resisted this move, and without a deal in place the government partially shut down. This lasted for 35 days until Jan. 25, when Congress and Trump agreed to a temporary spending bill that would fund the government until Feb. 15. If a replacement bill is not signed into law by Friday, the government will partially shutdown again. The current deal, which Congress has agreed to in principle but not passed yet, would give $1.4 billion for roughly 55 miles of border fencing and $1.7 billion for new technology on the border and additional customs officers. Trump said that Congress's border deal was "not doing the trick" but that he was "adding things to it" and that the country was still going to build a wall. He said the border barrier would be a "beautiful looking structure that's also less expensive to build, and looks much better." The president cannot constitutionally add things to a bill himself, but he can refuse to sign a bill unless Congress includes certain things. This is presumably what he was referring to, although he could possibly have also been referring to moving around money from other agencies to pay for portions of the wall. 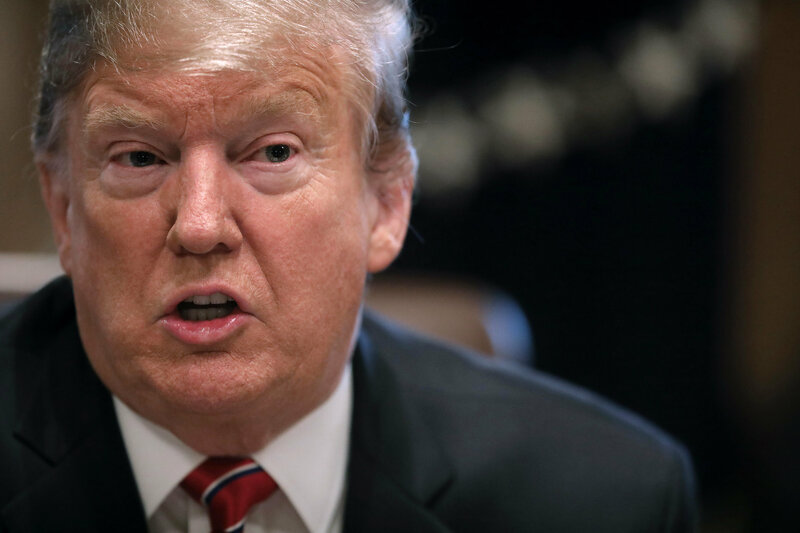 While Trump did not directly answer whether or not he would declare a national emergency to build the wall without Congress, he told a reporter that he was considering all options. I can tell you that — am I happy at first glance? I just got to see it, the answer is no. I'm not. I'm not happy. But am I happy with where we're going? I'm thrilled. Because we're supplementing things, and moving things around, and we're doing things that are fantastic, and we're taking from far less — really from far less important areas. And, the bottom line is that we're building a lot of wall. Right now we're building a lot of wall. And you think it's easy, we're building in the face of tremendous obstruction and tremendous opposition from a small group of people. Trump also said he "would hope that there won't be a shutdown" and didn't "want to see a shutdown." The "bottom line," Trump said, was that "we're building the wall, and we're using other methods other than this, and in addition to this. We have a lot of things going."